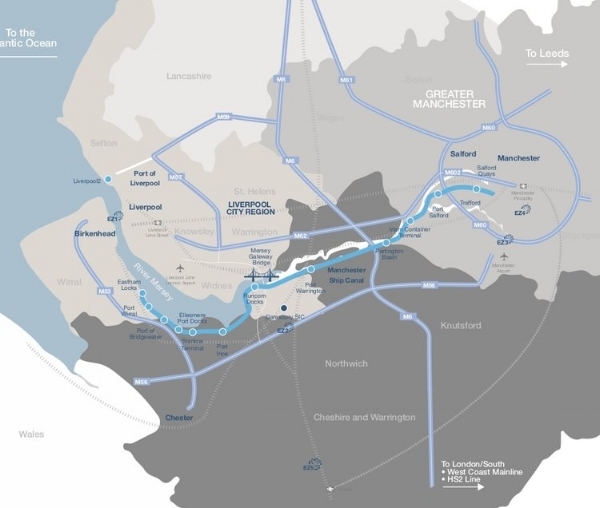 Liverpool City Region generates annual GVA of £29 billion and combines a rich industrial and trading heritage with a concentration of nationally significant innovation and knowledge assets. Its Port has always played a leading role in the area’s economic performance and recent investment in new port facilities, Liverpool2, has resulted in a resurgence of the logistics sector throughout the Atlantic Gateway area and other associated sectors that rely on port-centric services. Liverpool is home to the Knowledge Quarter which is one the UK’s leading science, health, education and technology districts. The City Region developed LCR4.0 to exploit the opportunities of Industry 4.0 known globally as the ‘Fourth Industrial Revolution”. LCR4.0 will bring together world class practical support to transform businesses through digital innovation and manufacturing.